The Phillies Nation Top 100 continues today with #. Our mission is to assess the Top 100 Phillies players of all time using impact to the Phillies, individual achievement, team achievement, traditional stats, and analytics as our criteria. The list was compiled by Ian Riccaboni and Pat Gallen with input from the rest of the Phillies Nation staff. From this point forward, each weekday, we will reveal two Phillies from the PN Top 100 in separate posts. To view the players listed thus far, please click here. To view the 2008 iteration of the list of Greatest Phillies of All Time as compiled by Tim Malcolm, please click here. Please check back tomorrow morning for #3. Taken as the 15th overall pick in the 2000 MLB Draft out of UCLA by the Phillies, Chase Utley stormed through the Phillies minor league system, playing for short-season Batavia in 2000, skipping A-ball and going straight to Clearwater for 2001. Utley handled Triple-A pitching well for a 22-year old in 2002, hitting 17 homers in a season where they switched the lefty-hitting Utley’s position from second to third base. 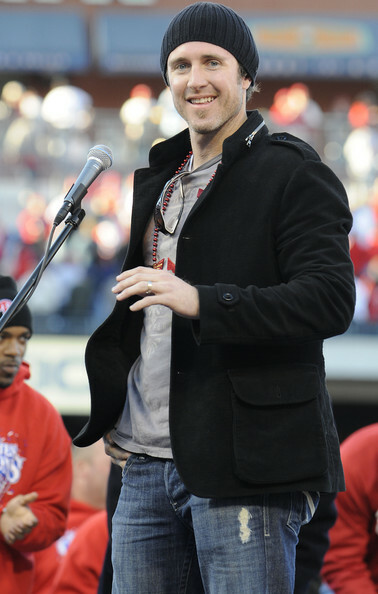 Utley switched back for 2003, earned a cup of coffee with the Phils and by 2005, Utley was a regular for the Fightins. In 2005, his first full season in the Majors, Utley hit .291/.376/.540 with 28 HR and 16 steals, earning 13th place in MVP voting. In 2006, Utley would earn his first All-Star nod, his first of five straight, and would win his first of four straight Silver Slugger awards. Utley was in the middle of an MVP caliber season before John Lannan broke his hand with a fastball on July 26, 2007. Utley, who was hitting .336/.414/.581, would finish the year with a .332/.410/.566 line with 22 HR and 9 SB, returning one month and a day after being hit, helping the Phillies break their 14-year playoff drought. While Utley wouldn’t deliver in 2007’s playoffs (2-11 in a 3-0 Rockies sweep), Utley would shine the brightest during the postseason. Utley has hit 10 postseason homers for the Phillies, second only to Jayson Werth‘s 11, including a 2-run homer off of Scott Kazmir in the first inning of Game 1 of the 2008 World Series and the first half of a pair of back-to-back dingers off of Matt Garza in the sixth inning of Game 3 en route to a 4-1 series win over the Rays. When the Phillies returned to the World Series in 2009 to face the Yankees, Utley was a monster, hitting five homers in six games, tying Reggie Jackson‘s single-World Series record in a 4-2 series loss. Utley has a rare combination of power, speed, and defensive ability at second base. From 2003 through 2013, Utley has accumulated the fourth most fWAR in baseball, ranking first among second baseman. Among second baseman from 2006 through 2013, Utley ranks first in runs scored, is second in homers to Dan Uggla, second in RBI to Robinson Cano, sixth in steals, second in OBP to Matt Carpenter, second in SLG to Cano, second in triples to Orlando Hudson, ranks first in defensive runs created, and ranks fifth in all of baseball across all positions in that metric during that time frame. Among Phillies, Utley leads all second baseman in HR, runs, and RBI. Had injuries in 2007, 2012, and 2013 not slowed Utley down, he likely would be approaching Hall of Fame status. Utley currently is ranked as the 18th most productive second baseman of all-time according to FanGraphs’ version of WAR. Utley ranks 12th among second baseman all-time in homers with a number of players that are catchable in 2014 directly ahead of him and fourth in RBI. Utley ranks 22nd all-time in defensive runs created at second base with a chance to accumulate enough to move into the top 20 in 2014. Depending on how long Utley can hold off father time, Utley may be able to break into the top 10 all-time in a number of categories among second baseman but that remains a big if, particularly when considering his degenerative knees. Utley’s hustle has endeared him to the fans, as his cerebral-ness and cunning has made Utley one of the most exciting, and fundamentally-sound, players in Phillies history. The play that comes to mind when describing Utley’s play is the play that famously earned him the nickname “The Man” from Hall of Fame broadcaster Harry Kalas. Utley scored from second base on a ground ball hit to Atlanta pitcher Macay Macbride by attempting to steal third during the pitch and then taking off as Macbride was throwing to first to put out Ryan Howard. Utley’s smarts and hustle also makes him Major League Baseball’s all-time SB% leader. When Utley decides to retire, his #26 will no doubt be retired and has face on the Phillies Wall of Fame whether or not he can hang around long enough to have a compelling Hall of Fame case. For what he has meant to the organization, and the fans that support the Phillies organization, Utley earns his ranking as the fourth-best Phillie of all-time.